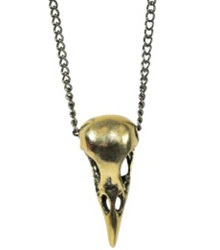 This skull necklace from Pamela Love retails for $875 at Goldyn. Sarah Aghili offers a very similar necklace in gold, retailing for a very budget friendly $12.50. Click HERE if you're interested in purchasing.